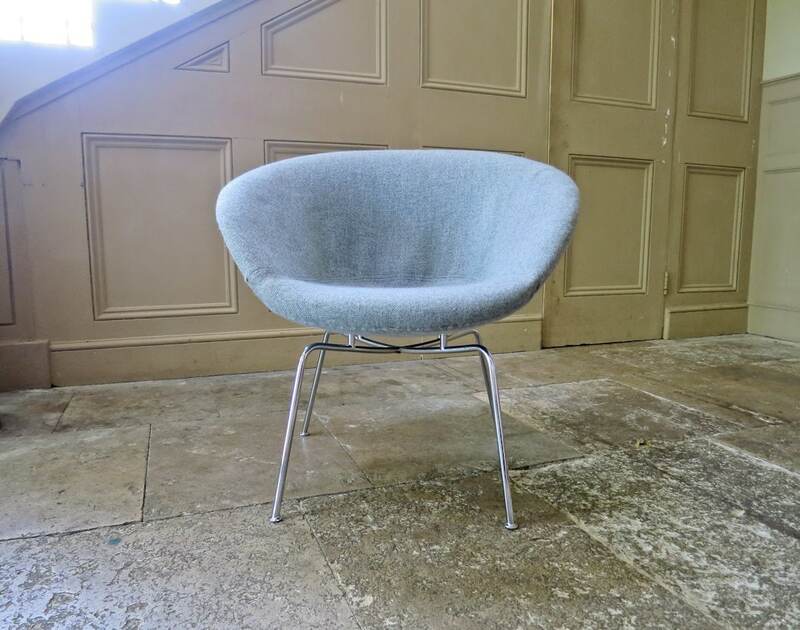 A pretty Pot Chair model number 3318 designed by Arne Jacobsen for Fritz Hansen in the 1950’s. 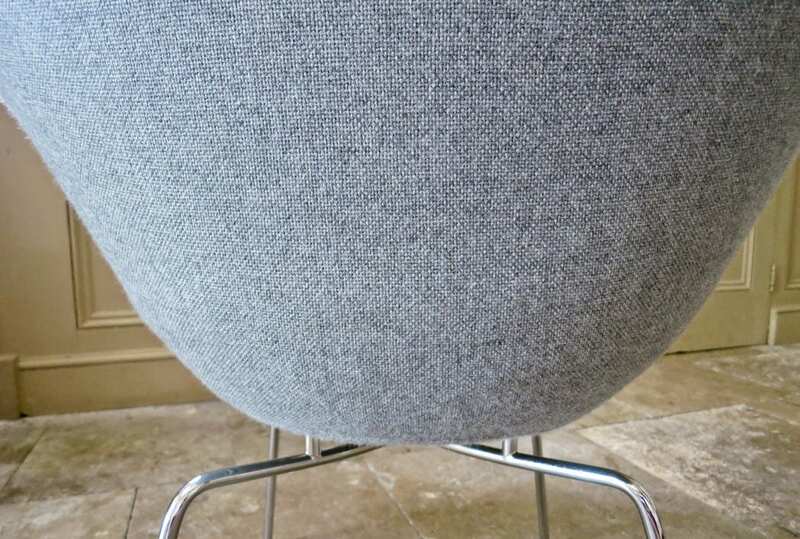 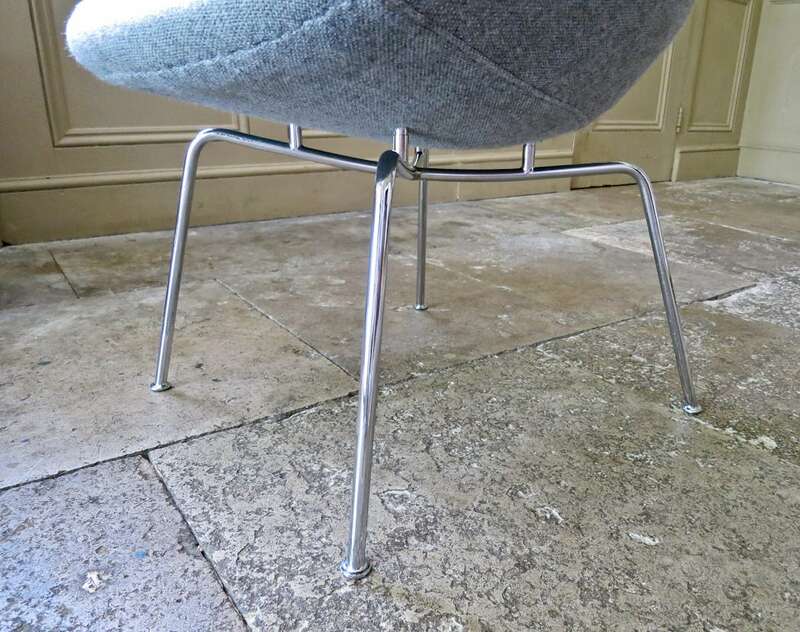 Grey wool upholstery on chromed tubular steel legs, all in an excellent original condition. 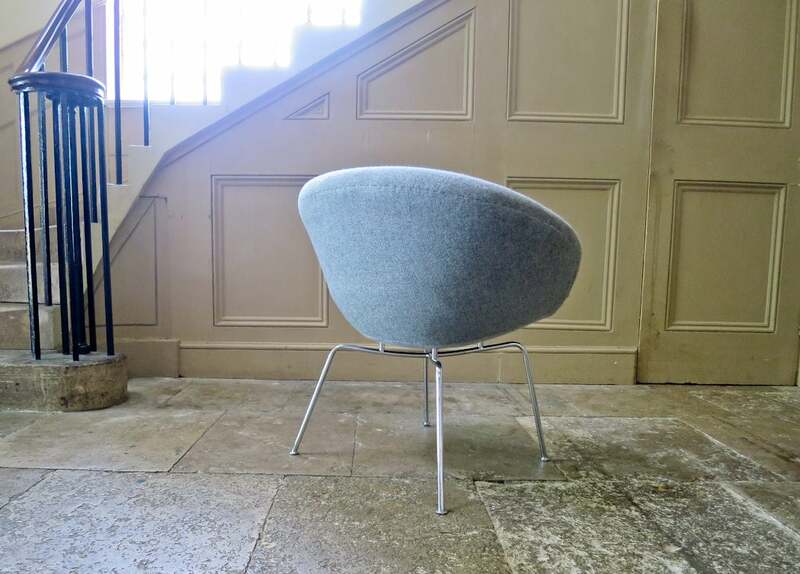 A rare and unusual design by Arne Jacobsen the Pot Chair is one of his lesser known creations. 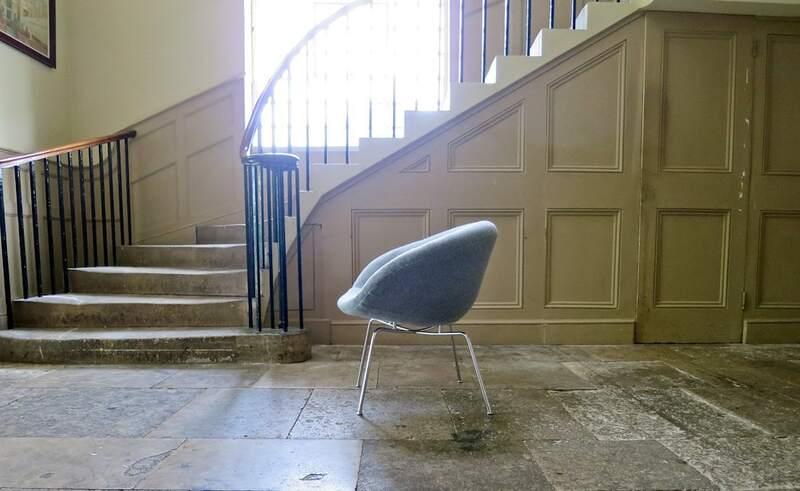 But still as groundbreaking in design and look as some of his more famous designs. 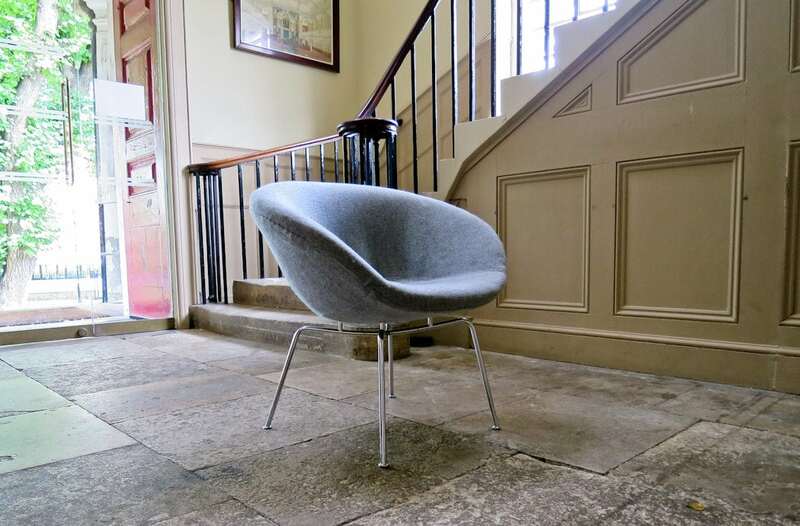 Elegant and restrained Arne Jacobsen’s Pot Chair shows his mastery of design for the modern age. 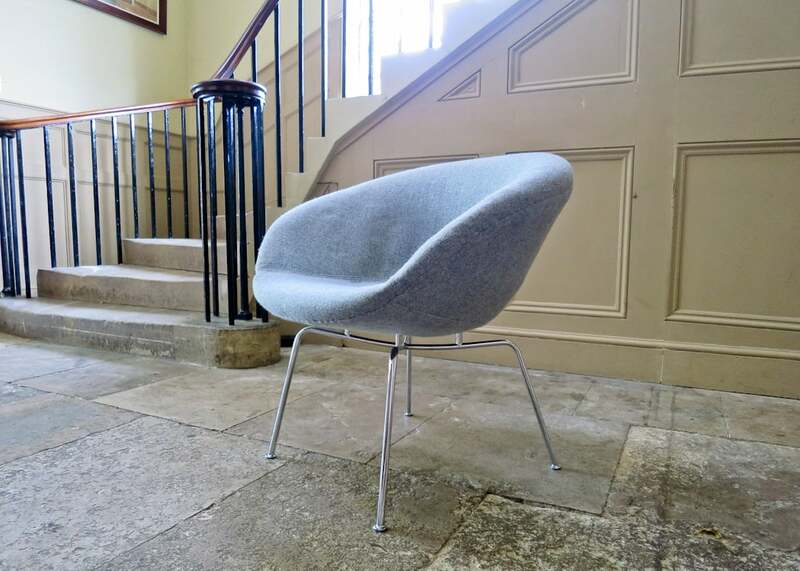 Very similar in look and feel to the more well known Egg and Swan chairs, again with a emphasis on comfort and modern cutting edge design. 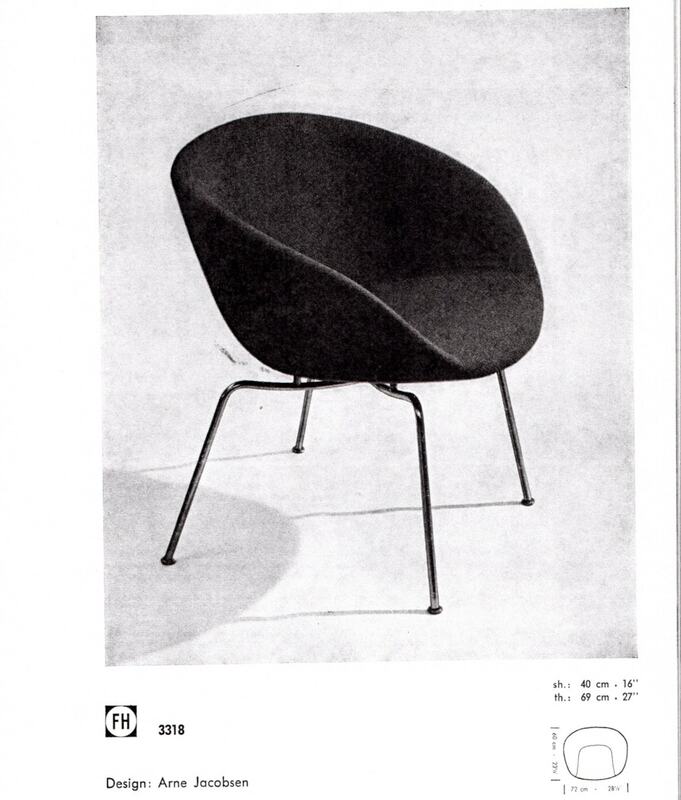 Please see my article on the history of Fritz Hansen.